The globalization of cities and their elites often comes at the expense of many of the people who live there. Forced to compete with foreign capital and immigrant workers, native-born residents of cities from Los Angeles and London to Singapore often feel displaced, becoming strangers in what they thought was their own place. 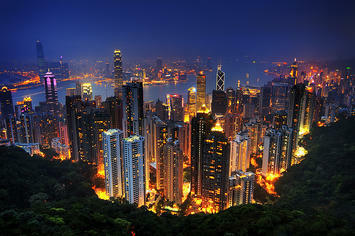 This phenomena is common for virtually all the leading lights on our list of The Most Influential Global Cities. Higher prices and greater labor force competition seem to be the natural result of global city status, posing enormous challenges to local populations and those that govern them. Since the late Enlightenment, great cities, often built around markets, were typically places for the aspirational middle and lower classes. The ability to rise in cities from North America and Europe to Asia — through what historian Peter Hall calls “this unique creativity of great cities” — stands as one of the great social achievements of modern times. But in this era of powerful oligarchs and growing inequality, these planetary centers are less places for upward mobility than most other cities. This is clearly true in the United States, where its premier global city, New York, as well as its prime competitors for international standing, Chicago, Los Angeles and the San Francisco Bay Area, rank among the 10 most unequal cities in the nation. The property market has a distorting effect. Home prices in affordable markets tend to average three times household incomes. The ratio for the top 10 global cities tend to be much higher, often upward of 10 times incomes. Pied a terre and investment purchases by wealthy residents of the former Soviet Union, China, the Indian diaspora and the Middle East play a role in this inflation, particularly in London, where an onslaught of Asian buyers, now, by one estimate, purchases 70% of the city’s newly built homes.For young people in London, the possibility of home ownership has begun to evaporate. Regulations that restrict new construction and raise development costs also play a substantial role in the diminishing amount of affordable housing in cities like London, New York and San Francisco. Rising home prices are among the impacts of globalization that tend to force out the middle class. Even in traditionally egalitarian Toronto, a study by the University of Toronto found that between 1970 and 2001 the proportion of middle-income neighborhoods in the core city had dropped from two thirds to a third, while poor districts had more than doubled to 40%. By 2020, according to the study, middle-class neighborhoods could fall below 10%, with the balance made up of affluent and poor residents. The impact of rising prices clearly reshapes societies. In Manhattan, half of households are single, according to the American Community Survey; in the city of San Francisco, there are now 80,000 more dogs than children. Similar trends can be seen in London, Paris, Tokyo, Hong Kong, Singapore and other top global cities. Due to high prices, some 45% of Hong Kong’s middle-class couples have abandoned the idea of having children anytime soon, according to a survey commissioned by Citibank. Property prices and development pressures represent just one aspect of how globalization impacts the native working and middle class. The globalized economy often favors the employment of the very skilled, and those who serve them. Many companies, such as in finance, move their middle management jobs to other, less pricey places, from Sioux Falls to India and virtually anywhere else, reducing global cities’ mid-income employment and middle-class populations. At its apex, in places like New York and London, the new global economy creates what economist Ajay Kapur calls a “plutonomy,” an economy that revolves around serving the wealthiest. This leaves the primary global cities as centers for both concentrated wealth and the greatest poverty, as we have seen in London, New York and other major global cities. In New York, over a third of workers labor in low wage, service jobs, a percentage that has increased steadily through the recovery, notes a recent study by the Center for an Urban Future. Not surprisingly the luxury cities — the most affluent parts of certain metropolitan areas — tend to have the highest concentrations of inherited and other rentier wealth in the nation, as well as some of the greatest concentrations of poverty. An asset-based recovery, like America’s current one, favors places like Manhattan, but does little for the Bronx, just across the Harlem River, which ranks at the bottom among the nation’s large counties for the percentage of residents’ income that comes from investments, rents and dividends. These trends could shape the future of cities socially and politically. In New York, the election of a strong left-wing mayor, Bill de Blasio,reflected the concerns of working- and middle-class Gothamites that they were becoming superfluous in their own town. Similar leftward trends can be seen in Seattle, another city that has experienced widespread gentrification, and recently passed a $15 an hour minimum wage. This shift represents, in part, a reaction to the fact that gentrification has done little to address the large and growing population of the poor in many global cities. London may, by recent accounts, have more billionaires than any city on the planet, but it also has the highest incidence of child poverty in the United Kingdom. Even many of the lower-end service jobs in restaurants, construction and retail have not redounded to the benefit of the native-born in Britain; more than 70% of the jobs created between 1997 and 2007 in the United Kingdom went to foreigners, according to the OECD. Indeed, economist Tony Travers at the London School of Economics estimated that during the last decade London received more immigrants, many from the rest of the EU, than New York or Los Angeles. The combination of mass migration and the power of the city-hopping global wealthy makes many native-born residents in global cities worried, as one London writer put it, about losing “the soul” of their city. This trend can be discerned in almost any global city. A Tommy Hilfiger or other chain store in Causeway Bay in Hong Kong, Fifth Avenue in New York, or Regent Street in London is pretty much like any other. Yet for independent merchants in global cities, the price of being there is often too much to bear. In the process many of the most unique shops and restaurants are displaced by the largely high-end chains that can handle the rent. At the same time, globalization and migration have inspired dangerous reactions, notably nativism, and a growing chasm between guest workers and residents. This has become a political issue even in the most cosmopolitan cities such as London, Singapore and the Randstadt (Amsterdam-Rotterdam-the Hague-Utrecht ). The fundamental challenge: the global city must accommodate two identities, a global and a local one. A great global city must serve its international role as well as its local economy and the needs of its local residents. A city must be more than a fancy theme park or a collection of elite headquarter towers. It needs a middle and working class, not just the global rich and their servants. It needs families and ordinary residents who may rarely leave town, not just globe-trotters. It needs to be true to itself and the people who, in the first place, created it. Joel Kotkin is executive editor of NewGeography.com and Distinguished Presidential Fellow in Urban Futures at Chapman University, and a member of the editorial board of the Orange County Register. His newest book, The New Class Conflict is now available for pre-order atAmazon and Telos Press. He is author of The City: A Global History and The Next Hundred Million: America in 2050. His most recent study, The Rise of Postfamilialism, has been widely discussed and distributed internationally. He lives in Los Angeles, CA. Submitted by Sufyanbashir on Sat, 03/21/2015 - 05:29. Submitted by Joshuakoo12 on Thu, 09/04/2014 - 02:43. Submitted by phuongnhi on Sat, 08/30/2014 - 18:28. Submitted by askeptic on Tue, 08/26/2014 - 19:53. Joel, you mention that San Francisco has 80,000 more dogs than children. However, this can be a positive. We here on The Coast all await the next Big One (Napa got a little taste of what that may be like), and those dogs could be considered a "pantry in waiting" as it is a bit more acceptable to use dogs as a source of protein than it is children - and Yes, I do have my tongue in my cheek, but not entirely. The way Blue Governance is going these days, if a Mega-Quake struck L.A. or the Bay Area, it could be a complete disaster and chaos for months on end. Both cities could be locked out from the sea and cut off from land transportation too. A worst-case scenario would not be pretty. Submitted by Rambler88 on Mon, 08/25/2014 - 22:34. I doubt very much that what passes for a middle class in Bill DiBlasio's New York City has much resemblance to any middle class in the rest of the country, outside the other "global" cities and pockets of wannabes in smaller cities. The old middle class in New York, or at least in Manhattan, Brooklyn, and probably inner Queens and some other areas, was gerrymandered into political nullity decades ago. As a consequence, their most basic needs were not met, and they fled. What has replaced them is, to a very large extent, a population of starry-eyed suckers who know nothing of the realities of city politics and can be counted on to vote against their own interests until their difficulties accumulate to the point at which they too will flee, still uncomprehending and gullible. They will either take their left-wing faith (or their solipsistic perversion of libertarianism) with them, since by that time they will have a huge emotional investment in it, or they will rebound to the opposite extreme. With this development, the divide between the "global" cities and the rest of the country will become increasingly clear. The picture will be complicated by wannabe cities that try to have things both ways, and by failed suburbs that have been pulled into the economic black holes of the core cities. Failed cities, typified by the rust belt, will also tend to complicate the picture--unless and until enough of them turn themselves around. They have a better chance of changing direction than do the "global" cities, and their success would do much to clarify the problems and the possible solutions--as the success of the suburban rings around the old core cities is already doing. Submitted by PhilBest on Fri, 08/29/2014 - 03:57. I like Joel's article and your comment. The FT article by Simon Kuper that Joel quotes, is excellent too. Saskia Sassen is an expert on "global cities", and she is quoted extensively by Kuper. Besides "global cities" being "vast gated communities where the one per cent reproduces itself", the necessary menial workforces (cleaners, shelf-stockers, etc) are almost entirely comprised of recent immigrants from third world countries, who are prepared to endure living conditions similar to those where they came from so as to be able to afford the rent at all. To be able to afford the rent in a global city, you either have to be a "one percenter", or a yuppie single, or be prepared to live 5 breadwinners to a room. ".....there’s an iron law of 21st-century life: when something is desirable, the 'one per cent' grabs it. The great cities are becoming elite citadels...."
This is why "trickle-down urbanism" does not work, as Richard Florida has recently admitted. Every city that scores high for "livability" in utopian global analyses, will be found to have their "amenity" being hogged by the wealthy. The valid policy choice for most cities, most of the time, should be "Opportunity Urbanism", as promoted by Joel. Rambler88's "wannabe cities that try to have things both ways", is a good way to describe the many cities being run by cargo-cultists who think you can become as high-income as Manhattan by copying its buildings and transit system. Submitted by lukelea on Mon, 08/25/2014 - 10:13. Though, to be complete, you need to also mention the effects of mass immigration and automation: all three have to be addressed simultaneously to solve the problem of falling wages for the middle two-thirds of our population, which we euphemistically refer to as the problem of "jobs" (meaning good jobs at good wages). Here is a legislative agenda: Suspend the 1965 immigration act, repeal GATT, and amend the 1938 Fair Labor Standards Act (by replacing the eight-hour day with a family-friendly six-hour day, including triple pay for overtime). The first talented Presidential candidate who runs on this platform will win the support of the American people. He will bridge the racial divide. Do you doubt it? Submitted by askeptic on Tue, 08/26/2014 - 19:57. Repealing most of the New Deal would go a long way towards revitalizing the American economy. And, if you're going to suspend the 1965 Act, you should also throw out Simpson-Mazzoli too, and institute a skill/wealth based immigration policy, without any mention of 'family reunification'.